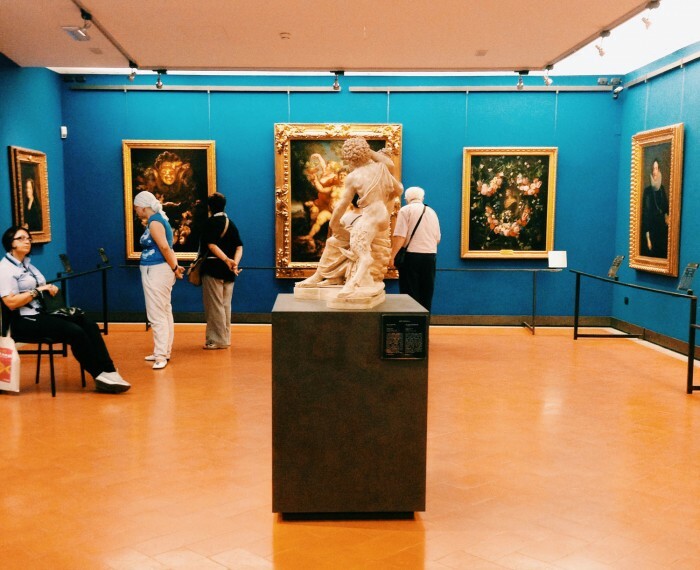 In Summer, 2014, Italy’s state museums finally permitted photography for personal use. The old ban on taking pictures in museums was anachronistic in this day and age of “I was here” social media, and even they had to admit it. The purpose here is not to discuss if the move was a good one, nor to address the much-discussed issue of public order in the museums since the ban was lifted. Rather, I was curious to know what people have been photographing in museums, now that they can. Using the world-famous Uffizi Gallery in Florence as my example, I wondered if I would see primarily Primaveras or a slew of selfies. The results of my survey of photos hashtagged or geotagged Uffizi on Instagram are surprising. They demonstrate that people are actually looking at art, picking out details and unusual paintings for what amounts to a modern form of social commentary. OK, it’s true, lots of people are trying to snap pictures of Botticelli behind glass, be it the Primavera or the Birth of Venus. Some seem to manage to clear away the crowds and get a photo of themselves in front of it. And as much as one might be against hitting up only highlights or taking selfies, I can’t disdain the excitement of a cute 18 year old identifying with the Venus (hashtag #meraviglia). Or 19-year old @Fenii who photographed only her entry ticket to the museum, and the crowd of people trying to photograph the Venus. Museum selfies are such a major phenomenon that there have been numerous interesting articles and a whole tumblr dedicated to them. Part of a trend towards declaring where you are at all times, the selfie may also represent sharing with your friends an important accomplishment in your life. @Comanella, an American- Romanian visitor whose trip also took her to the Louvre in Paris where she photographed the Mona Lisa, writes “Made it to Florence to see Da Vinci’s work”. Judging from her stream before her trip – mostly photos with friends and cute selfies – this is a really important voyage for her. What makes her love Leonardo over the others, we will never know, but the fact that she seeks him out is beautiful. Even people on a short guided tour may find their favourites and be immortalized with it. This viewer is attracted to the Madonna del Cardellino by Raphael (and uses hashtag #medici). It used to be that the only part of the Uffizi you COULD photograph was the hallway and the view from its window over the Uffizi. Although the ban has been lifted now in the entire museum, the hallway continues to attract attention, and with photographers having to be less furtive, they are becoming more imaginative in their compositions and reflections. The newly arranged room dedicated to Michelangelo’s Doni Tondo, characterized by red walls, is photo-worthy according to a number of visitors. 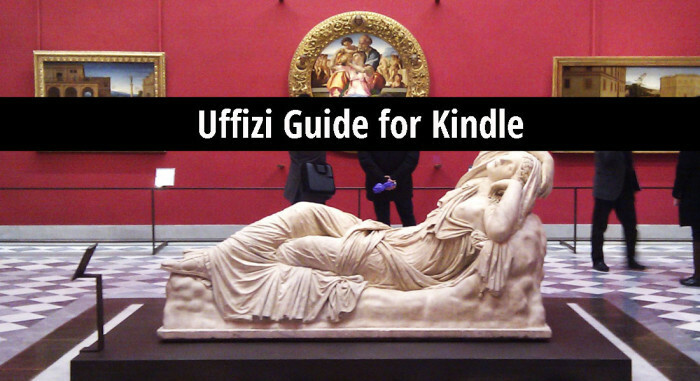 Not all focus on the large masterpiece – the whole ambiance is a crowd pleaser, including the Roman sculpture in front and the people looking at art. Furthermore, some viewers focus on details, not just the whole. Photographing details, rather than whole works of art, is another trend we can see through these Instagrams. Detractors of photographing in museums say that people are looking even less, and this may be true for some, but not all of the snap-happy viewers. Certain details indicate that the viewers have been giving a painting more than eight seconds, long enough to start noticing some subtleties. Their joy at catching them makes them get up close and photograph them – probably tripping off the alarm system as they do so, or using a digital zoom which makes for bad photos. The artistic result is poor, but the meaning of the action is more than just a little bit important. Here are two details that, if noticed by a student, any art history professor would be proud. Quick! Identify the painting! The photo got no likes or comments on Instagram, but the photographer posted both this and a wider shot of the same area, clearly finding it titillating to spot this detail in a Renaissance painting. **it seems that Instagram removed this gem as it must have been filtered as pornographic. It was a close-up of Titian’s Venus’s crotch. Instagram is so smart. In the sea of masterpieces, few navigators are still enthusiastic by the blue rooms. Photos confirm this, yet some visitors really do deserve a reward for lasting this long. Others spot works that you’d not have thought would catch their attention. One of the best ways to understand art is to mimic it with your body. And some Instagram users’ moments in the Uffizi reflect their feeling about a whole trip… @Viktorudzenija (an interior designer from Dubai)’s #exhausted #lostmyfeet pretty much sums it all up.